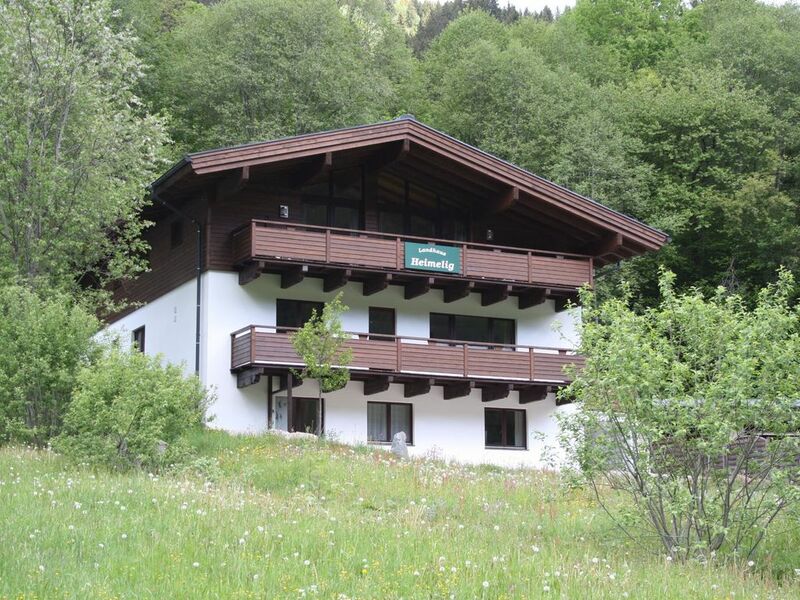 Landhaus Winkler Landhaus Winkler is a self-catering accommodation located in Saalbach, 2,100 metres from the Schattberg Express Cable Car and 2,300 metres from the Bernkogel Sesselbahn Cable Car and offers free WiFi access. The apartment will provide you with a flat-screen TV, a terrace with mountain views and a seating area. Featuring a shower, the private bathroom also comes with a hairdryer..
Appartement Stöckl Located in Saalbach, Appartement Stöckl features a garden and sun terrace. The accommodation comes with a flat-screen TV with cable channels. Every unit features a private bathroom with a shower and slippers. AlpenHit Saalbach AlpenHit Saalbach offers Alpine-style apartments, 1 km from Saalbach’s centre and directly at the Bernkogel Ski Lift. Free WiFi is available and each apartment comes with a flat-screen cable TV and mountain views. A common lounge and laundry facilities are at all guests’ disposal. 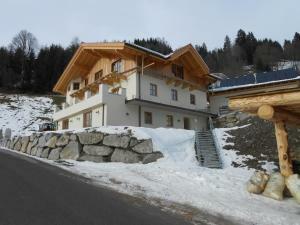 Hotel Peter Only 20 metres from the ski lifts, this small hotel is located in central Saalbach. Cable TV and telephone are standard room facilities at Hotel Peter. You can also buy drinks from the vending machine located in the lobby area. 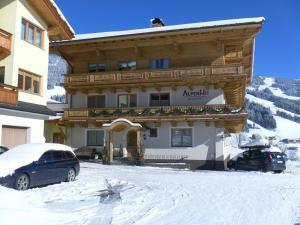 Landhaus Aamadall im Alpinresort Sport & Spa price per day from € 59 Landhaus Aamadall is located in a quiet area of central Saalbach, 200 metres from the Schattberg Xpress Ski Lift. All rooms feature a balcony and a flat-screen TV with cable channels. 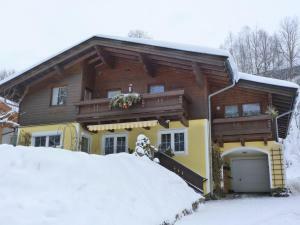 Free of charge, guests have access to private parking and Wi-Fi available in all rooms..
Ferienhof Wölflbauer Just 20 metres from the slopes of the Saalbach-Hinterglemm Ski Area, Ferienhof Wölflbauer is a traditional farmhouse in a quiet location 3 km from Saalbach. Guests of the Wölflbauer Ferienhof can relax on the sun terrace and play table tennis. This card comprises many benefits such as free use of local cable cars and buses..
Kunst-Hotel Kristiana The family-run Kunst-Hotel Kristiana is situated at the top end of Saalbach´s main pedestrian area close to the centre and offers fine cuisine, cosy rooms and art lessons. Appartements Fürstauer Appartements Fürstauer enjoys a quiet location on the outskirts of Saalbach, 200 metres from the ski slopes. The Fürstauer Appartements offers daily cleaning against a fee. A free parking space is provided for each apartment. 4. Take exit 297-Wals to merge onto B1 toward A1/A10/Lofer. Partial toll road. Go through 1 roundabout. Entering Germany. 6. Slight left to stay on B21. Entering Austria. 8. Take the ramp onto Lofer311. 9. Keep left to stay on Lofer311. 11. Take the exit toward Glemmerstr./Glemmtaler Landesstr. Golf club Eichenheim, 16.7 km from the centre of town of Saalbach. Ski resort Alpbach, very good nightlife, many restaurants and pubs. 52 km from town of Saalbach. Ski resort Abtenau, downhill pistes: 80km. 57 km from town of Saalbach. Ski resort Achenkirch, number of cross country pistes: 58km. 71 km from town of Saalbach.